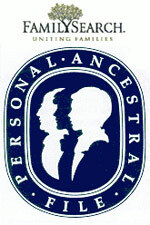 Personal Ancestral File, aka PAF, was a very popular genealogy application for many years, whose development dates back to the 1980s, and for some genealogists, it was the only program they would use. I still get questions about it here in 2015. There hasn’t been a new official version available for the Mac (Macintosh) platform for over 20 years, and the last version for Mac only runs under the “Classic” Mac environment (up through OS 9). PAF 2.3 for Mac was also known as MacPAR and Family Records. Newer versions of PAF for DOS can be run under OS X using DOSBox, and Windows versions can be run under OS using CrossOver or Wine. If you have a copy of Windows, you can also install a virtualization program like Parallels Desktop 10 for Mac , VMWare Fusion, or VirtualBox. If you are looking for a modern successor that runs under Mac OS X, consider PAW2U. If you are doing LDS Temple Work, or are interested in doing it, please check our TempleReady/LDS Temple Work page to view applications that support this kind of genealogy work. There was an attempt (“MacPAF“) several years ago at making an app for those still using the original PAF/Family Records for Mac. however it was discontinued. FamilySearch discontinued support and downloads for PAF in 2013. Originally Released: PAF 2.1, released in 1987. GEDCOM Support: GEDCOM 4.0 (version 2.3.1) - Later versions for DOS/Windows support GEDCOM 5.5. Unicode GEDCOM (Explanation): No Unicode support in any Apple II or Mac version. PAF 5.0 (Windows) supports Unicode.